Protects driver smartcard from damage and includes a lanyard with a break away security feature to comply with health and safety. SKU: Product Code: DTCH. Category: Digital Products. 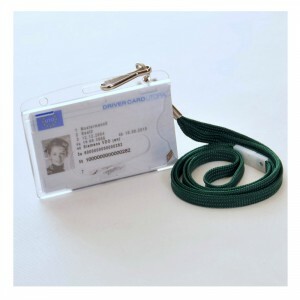 Digital tachograph driver cards can fail as a result of where they are being stored. If the cards are stored in wallets, next to credit cards, then the magnetic strip on a credit card can render the digi-cards useless, cards can also split/bend whilst being stored in a wallet. 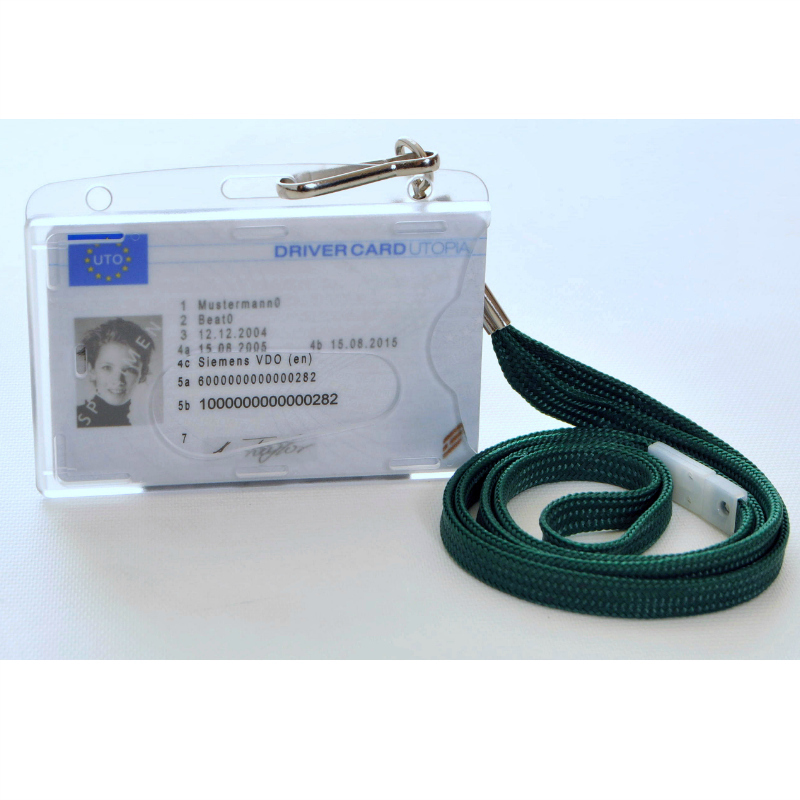 This rigid digital tachograph card holder can hold two cards (as long as the text on either card is not raised) so would be ideal to store a Driver CPC Card or fuel card as well.